We regularly get cravings for Tex-Mex food, particularly nachos and tacos and I’m always trying to think of variations to keep things interesting like these pulled lamb tacos. I had a whole chicken in the fridge and decided to make a shredded chicken version. They were really good and the filling would also be perfect for fajitas or enchiladas. 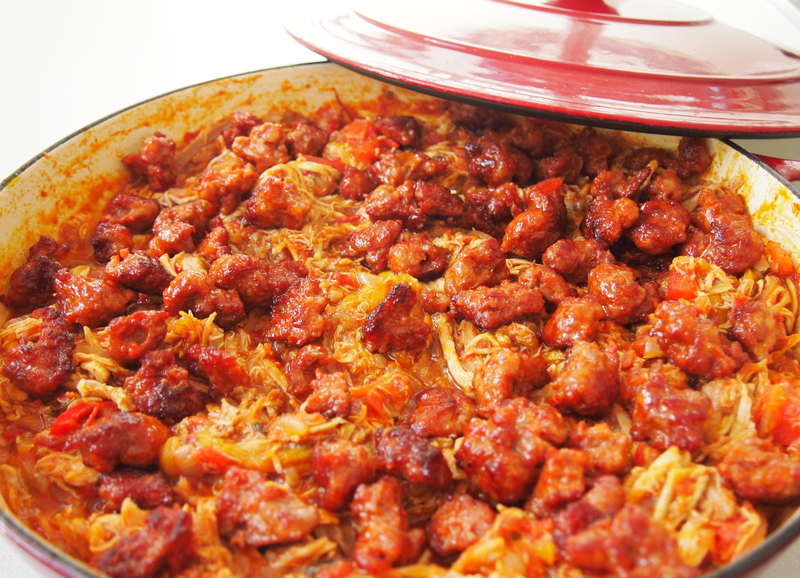 The topping of crispy chorizo pieces not only adds extra flavour but a great textural crunch against the soft chicken. If you don’t have the time to poach a whole chicken then just poach some breast fillets which will be faster. Wash the chicken well and place into a large pot. Add enough cold water to cover the chicken along with a couple of teaspoons of salt and bring to the boil. Lower the heat to a gentle simmer, cover the pot and cook the chicken for 1 hour. Turn the heat off and let the chicken sit in the poaching liquid until it’s cool enough to handle. 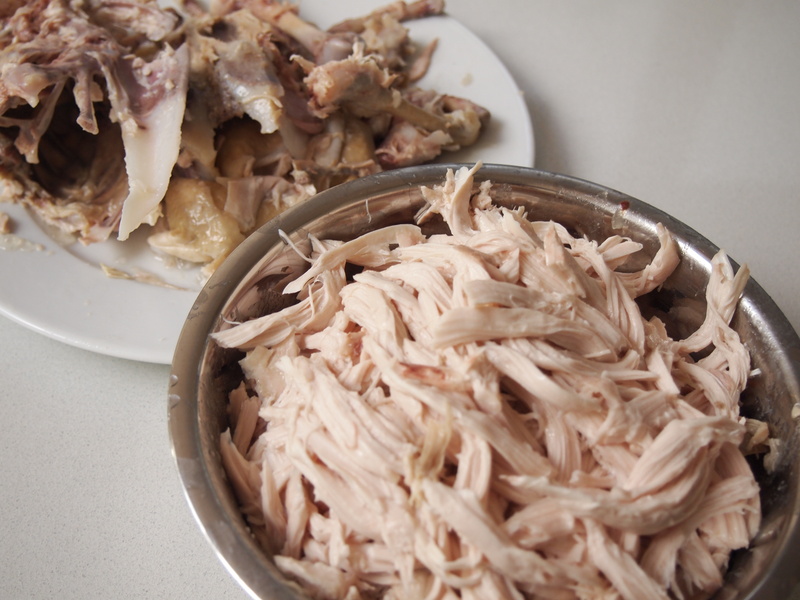 Once the chicken has cooled, remove the flesh and tear into strips, discarding the bones and skin, and set aside. 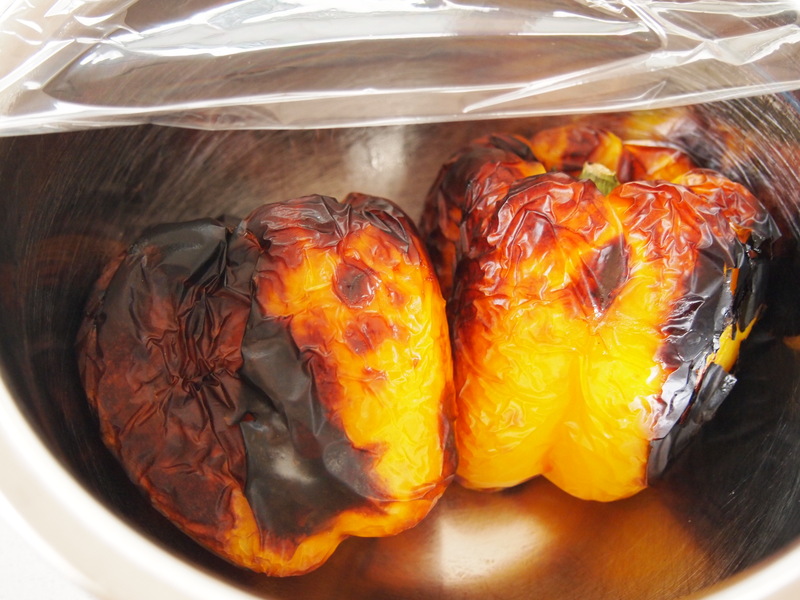 Preheat the grill in your oven to high and place the peppers on a baking tray and grill, turning the peppers occasionally until they are blackened all over. Place into a bowl and cover with clingwrap to steam. After about 10 minutes they will peel easily. Discard the stems and seeds, tear the peppers into strips and set aside. Heat the oil in a large frying pan over medium heat. 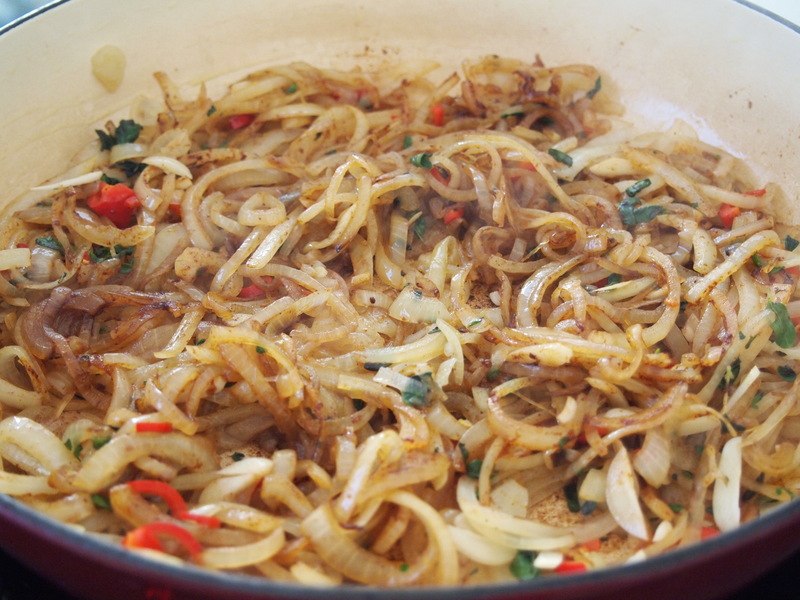 Add the onion and a pinch of salt and fry until the onions have softened. 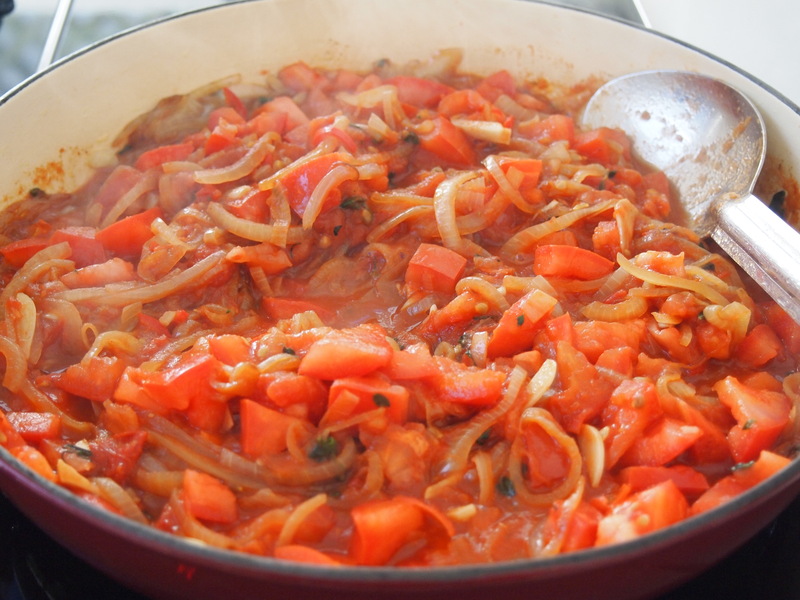 Then add the garlic, tomatoes, paprika, chilli and oregano or marjoram and cook for another few minutes. 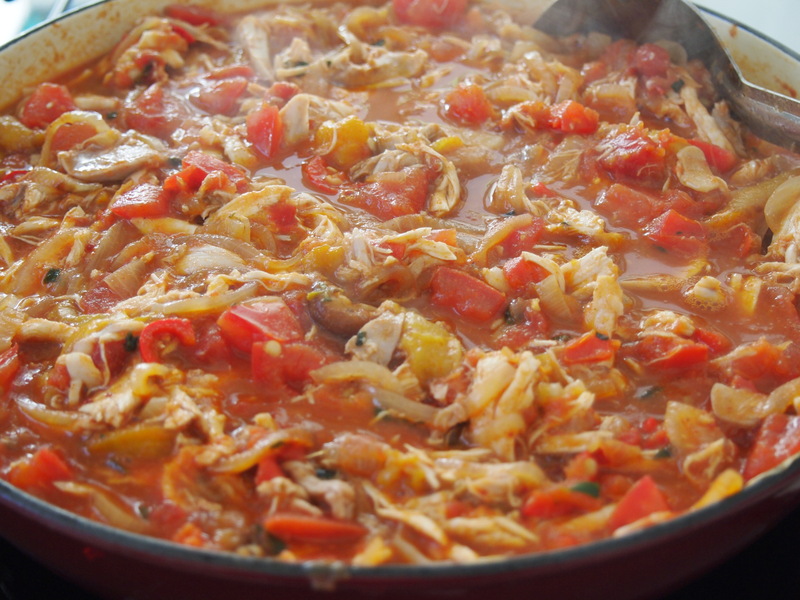 Add the chicken, peppers, stock and taco seasoning mix to the pan and stir well. Leave to bubble way for about 30 minutes, uncovered, or until the sauce has reduced and thickened. Put a second frypan over high heat. Remove the skins from the chorizo and break the meat into rough chunks. 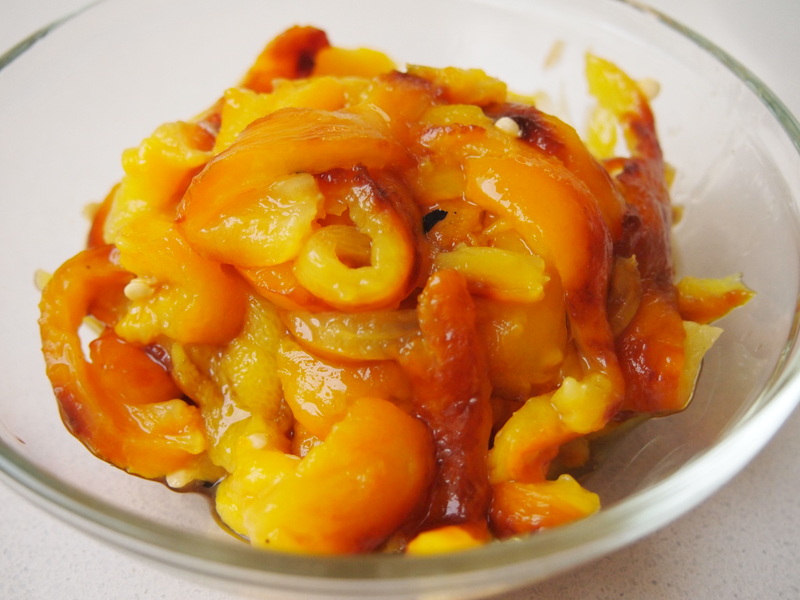 Cook for about 5 minutes or until dark golden and crisp. Once the chicken has reduced sufficiently taste for seasoning and add more salt if required, then add the balsamic vinegar stirring until well combined. 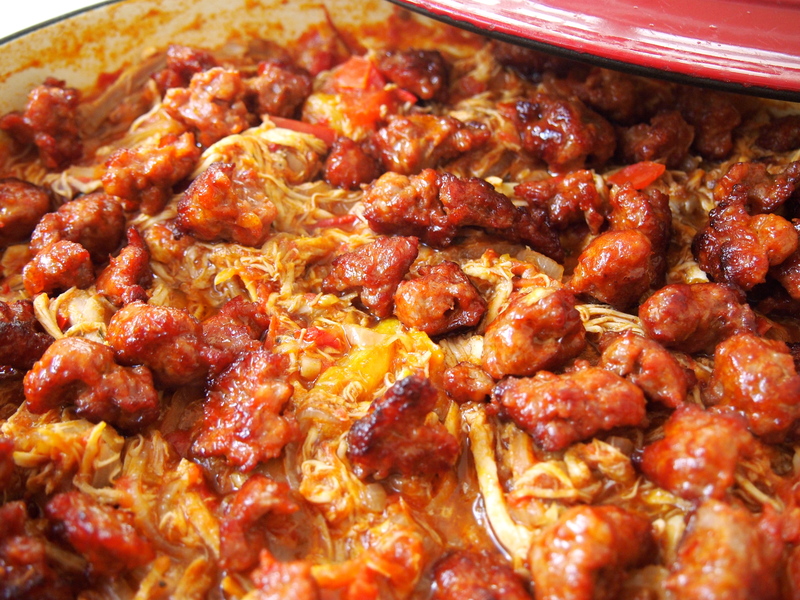 Scatter the chorizo on top of the chicken and serve with all your favourite taco accompaniments.